Most people go into a new year setting goals and priorities, knowing that doing so is more likely to produce successful results. The Michigan Department of Natural Resources is no different. Recently, DNR Director Dan Eichinger and the chiefs of each DNR division laid out their priorities for 2019 during a series of employee meetings across the state. In addition, the meetings bring everyone in the DNR to the table, to start conversations and to help cultivate collaboration across divisions. 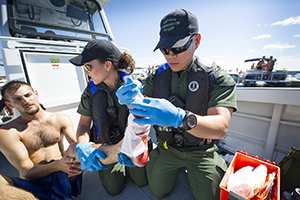 Each division and staff member possesses a key ingredient to the department’s success. As a backdrop to this effort, the DNR has five overarching goals that remain paramount, no matter the year or the season. They include protecting natural and cultural resources, ensuring sustainable recreation use and enjoyment, enabling strong natural resource-based economies, fostering effective business practices and good governance, and building and improving strong relationships and partnerships inside, and outside, the department. In turn, Eichinger’s specific set of priorities support the DNR mission statement and the evergreen goals. They are focused on fish and wildlife disease, invasive species, natural and cultural resource user engagement, infrastructure and public lands. Eichinger plans for the DNR to promote healthy populations of fish and wildlife by reducing occurrences of disease – such as chronic wasting disease in deer and viral hemorrhagic septicemia in fish – where possible and to understand the dynamics of diseases for better species management in the future. He also intends to concentrate department efforts on preventing the introduction of invasive species, promoting early detection of these non-native plants and animals, managing them where they exist and restoring areas where damage has occurred. Additionally, Eichinger has prioritized addressing the DNR’s changing user base, including a declining number of hunters and anglers, while expanding the diversity of natural and cultural resource users and broadening the diversity of the DNR’s workforce. Other areas he plans to focus on are tackling legacy DNR infrastructure needs and managing Michigan’s public lands for optimal recreation, forestry, wildlife and fisheries outcomes. Each DNR division works to further the director’s and department’s priorities while aiming to accomplish a set of division-specific goals. Among its priorities, the Finance and Operations Division is working on streamlining and updating software applications and policies and procedures to enhance effectiveness as well as implementing the DNR’s public land strategy. Focus areas for the Fisheries Division include invasive species and fish diseases, which Fisheries Division Chief Jim Dexter said are “at the top of our priority list.” As are a unique partnership with the Little River Band of Ottawa Indians to reintroduce a historic Michigan fish species through the Arctic Graying Initiative and completely revising the 90-year-old state-licensed commercial fishing statute. Among the DNR Forest Resources Division’s goals are inventory and assessment of more than 13,000 miles of roads and their infrastructure on 4 million acres of state forest land the division manages, as well as investing in roads and bridges. 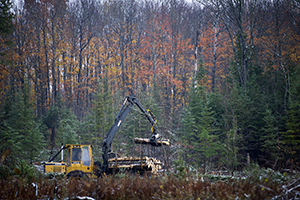 Other division priorities include enhancing timber sales as part of the Good Neighbor Authority – which allows the DNR to do forestry work on federally managed lands – and developing a bat habitat conservation plan. 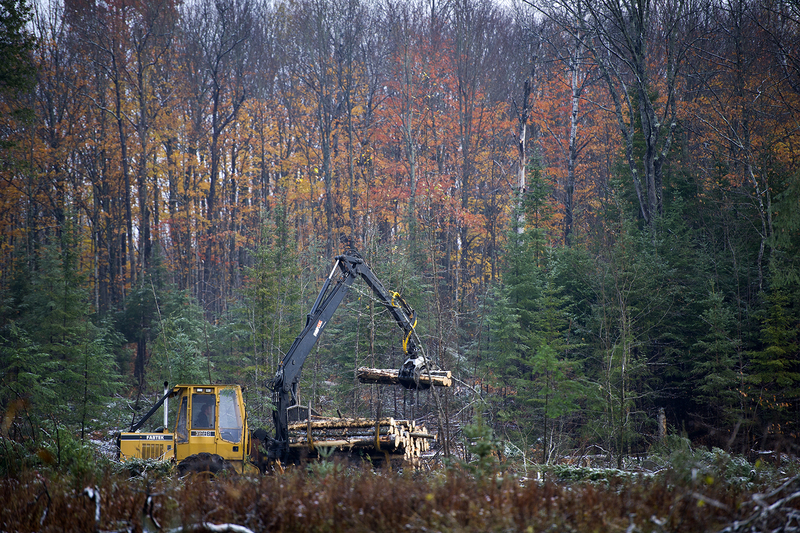 Forest Resources Division Chief Deb Begalle said that income from Good Neighbor Authority timber sales can be used for other projects on national forests, such as fish and wildlife habitat improvements. “It’s a great, great partnership that I think is going to grow, and it also helps put timber on the market for mills, many that support rural communities,” Begalle said. Among the other Law Enforcement goals are staffing and outreach to the communities the DNR serves. 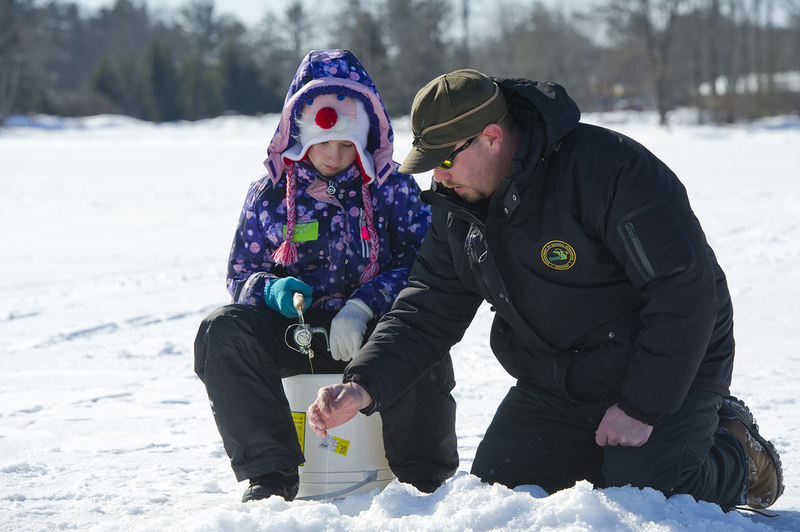 Some of the DNR Marketing and Outreach Division’s priorities are increasing participation in outdoor recreation and boosting stewardship of, and support and advocacy for, Michigan’s natural and cultural resources. 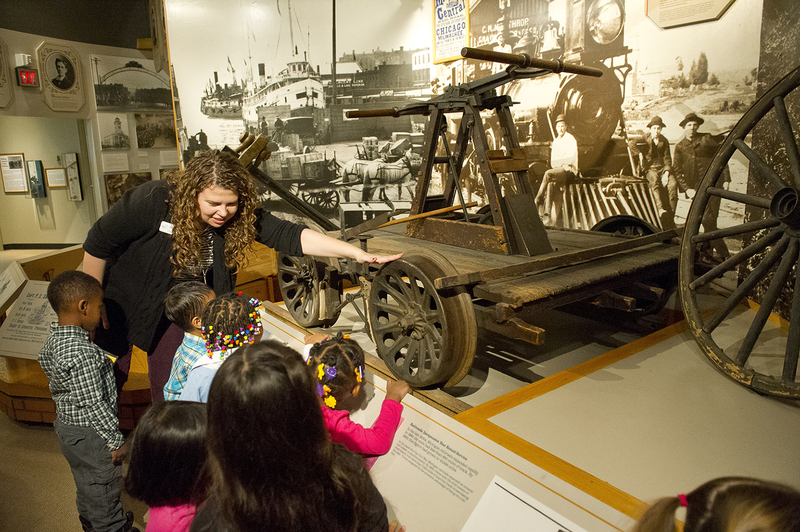 The Michigan History Center aims to transform exhibits in its museums and historic sites throughout the state, revamp its websites and implement a plan to improve diversity, inclusion, equity and accessibility, along with other goals. Goals for the Office of Minerals Management include engaging more with customers and educating the public and other DNR employees about how the office manages 6 million acres of state-owned minerals in a manner that protects and enhances the lands for current and future generations. The Parks and Recreation Division’s priorities include building and improving infrastructure for parks, waterways and trails, increasing funding for nonmotorized trails like biking and water trails, and helping to prevent the spread of invasive species. Parks and Recreation Division Chief Ron Olson talked about educating the public on invasive species through efforts aimed at outdoor recreationists. “We partner now with 250 lake owners’ associations, and it’s important to them to collaborate with the DNR to enhance our collective efforts to educate boaters to do their part to prevent transporting aquatic weeds,” Olson said. He added that other efforts include enlightening campers regarding the need to avoid transporting firewood to curtail the spread of invasive insects and diseases that can damage, destroy or infect trees. 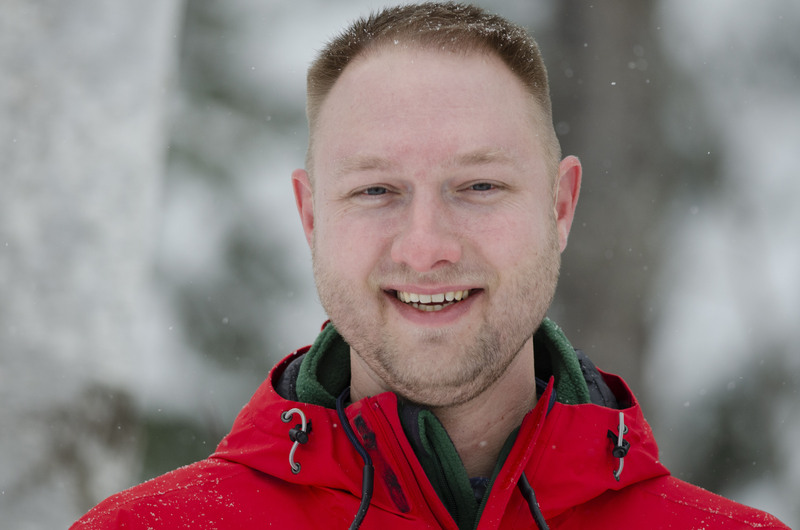 Olson said that the division is striving to gain relevance by offering more opportunities to participate in activities growing in popularity, such as fat-tire biking. Like several other divisions, the Wildlife Division will focus on the fight against invasive species, and also on endangered species conservation, wildlife disease surveillance and response, how to increase use of and access to division-administered lands such as state game areas and private-land habitat management. Find out more here about the specific priorities of the DNR and its divisions. 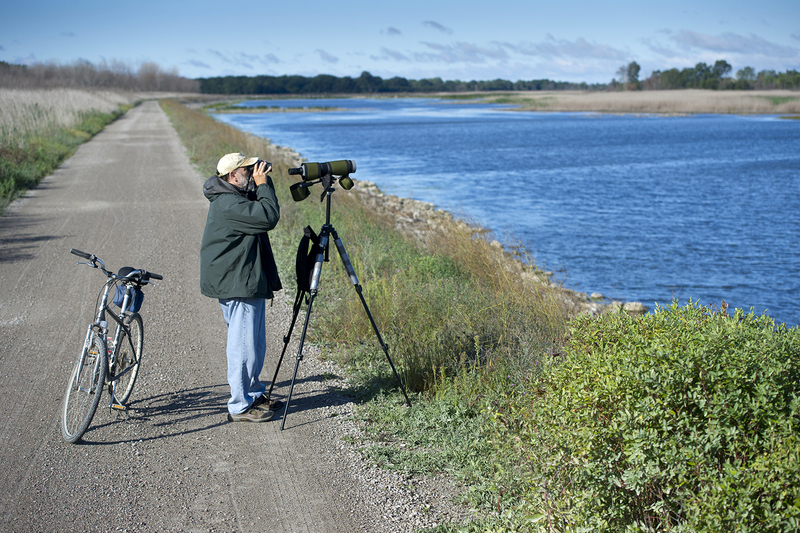 Birding: Oakland County Audubon Society president Don Burlett sets up a spotting scope for birdwatching at the Pointe Mouillee State Game Area. 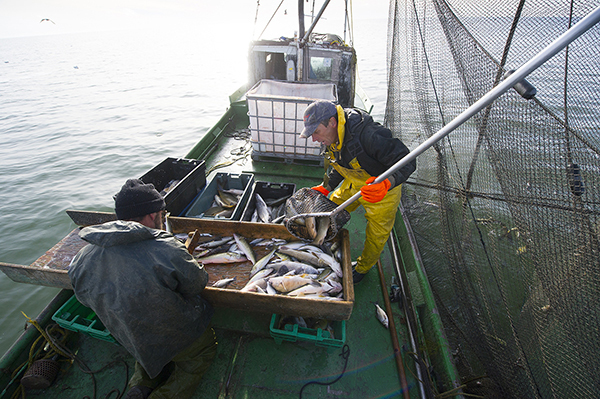 Boat: A commercial fishing operation is shown underway on the waters of Saginaw Bay. Burn: Michigan Department of Natural Resources firefighters conduct a prescribed burn at Fayette Historic State Park in 2018 in Delta County. 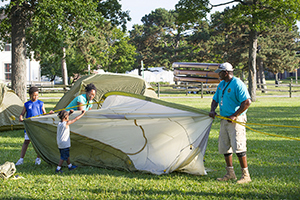 Camping: An instructor helps students at an Introduction to Camping event at Belle Isle, part of the Michigan Department of Natural Resources’ Recreation 101 program. Eichinger: Michigan Department of Natural Resources Director Dan Eichinger. Fish: Seven-year-old Kori Draper is given instruction by Ed Shaw, a Michigan Department of Natural Resources interpreter teaching at a Hard Water School fishing clinic hosted at the Carl T. Johnson Hunting and Fishing Center at William Mitchell State Park in Cadillac. 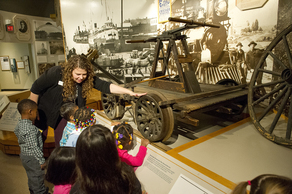 Museum: A Michigan History Museum program teaches preschool children about Michigan history. Rescue: Michigan Conservation Officers Saykham Keophalychanh and Angie Greenway provide first aid to an injured swimmer during the annual party, "Hardigras" on Hardy Pond near White Cloud.